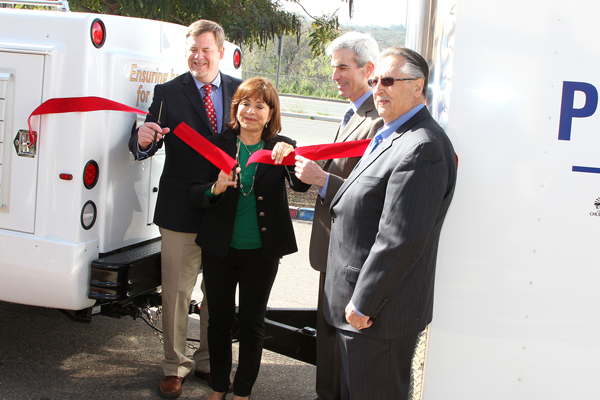 AKC Pet Disaster Relief, a national program spearheaded by AKC dog clubs and AKC Reunite that is dedicated to keeping pets and their owners safe in the aftermath of natural or civil disasters, presented their fourth trailer in San Diego County in a ribbon cutting alongside Chula Vista Mayor Casillas Salas and officials from the Chula Vista Animal Care Facility. 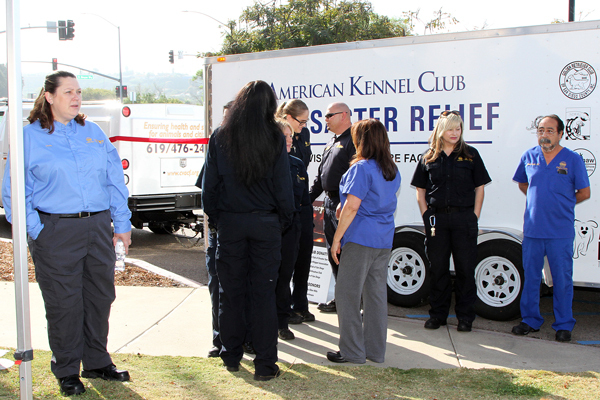 AKC Pet Disaster Relief trailers help to create a safe, temporary home-base for at least 65 pets immediately after a disaster is declared. 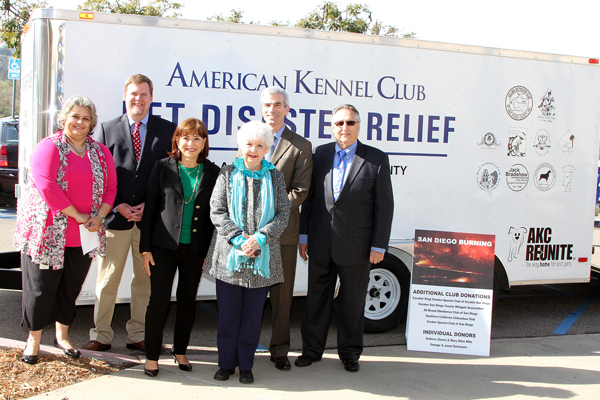 More than 20 dedicated San Diego area AKC dog organizations and dog lovers have been working with area animal shelters to make AKC Pet Disaster Relief trailers a reality for the local community. 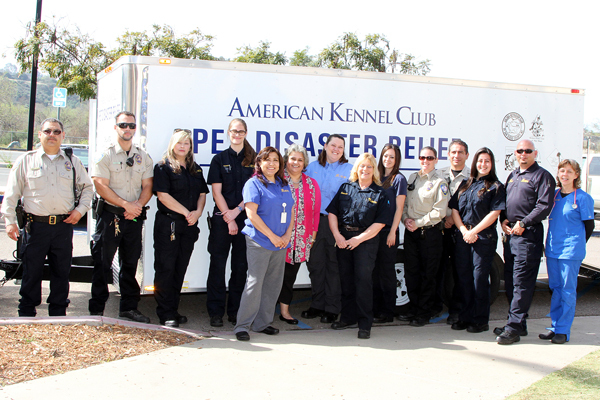 Volunteers raised more than $80,000 to donate the life-saving AKC Pet Disaster Relief trailers so that each shelter in the area will now have one at its disposal during emergencies. 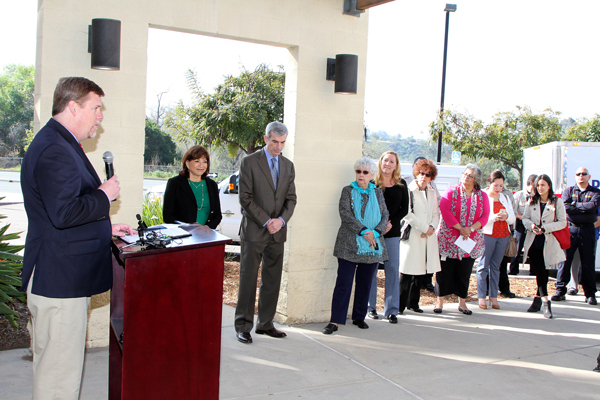 Donations for the Chula Vista trailer came from Bradshaw Superintendent, the Dalmatian Club of San Diego County, Toy Dog Fanciers of North San Diego County, the Bichon Frise Club of San Diego, the Golden Retriever Club of San Diego, the Southwestern Rottweiler Club of San Diego, the Sand and Sea Non-Sporting Association, the San Diego Rhodesian Ridgeback Club, the San Diego Poodle Club Rescue, the Greater San Diego County Whippet Association, the Cavalier King Charles Spaniel Club of Greater San Diego, the All Breed Obedience Club, the Southern California Chihuahua Club, the Cocker Spaniel Club of San Diego, George J & Janet Y Hartmann, Andrew (Gene) & MaryEllen laine Mills, The American Shetland Sheepdog Association Foundation and AKC Reunite.